A sure heart-melter, John and Joe shows an emotionally moving story of a father… told in a unique way. 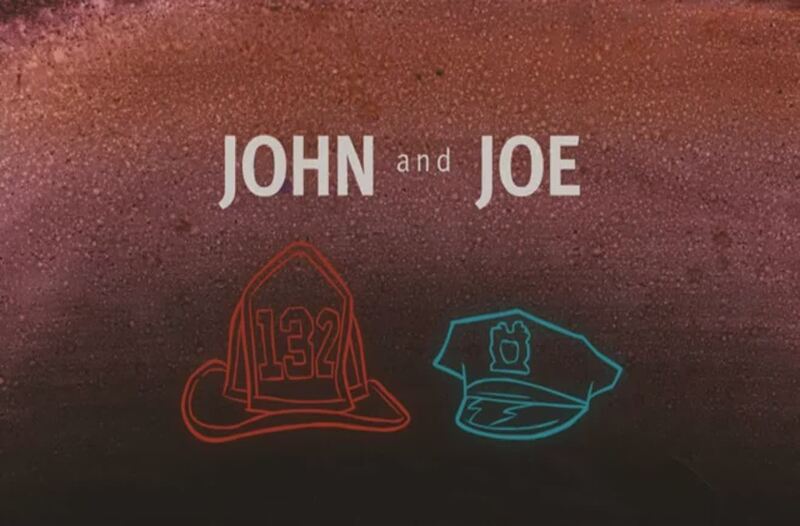 This short animation is based on the real recollection of John Vigiano Sr., a retired New York City firefighter who loses both of his sons in the September 11 attack at the World Trade Center. It was directed by The Rauch Brothers and was produced by Lizzie Jacobs and Mike Rauch. Unlike most documentaries that use real shots of people, the short film blends animation and reality. The cartoon and colorful backdrop contrasts with the deep and aging voice of the story teller. I personally like how the creators use narration to intensify more emotions, you could really feel how the father copes up with this tragic loss. John and Joe is beautiful and sad at the same time. I commend the filmmakers in giving voices and faces to those who have experienced a lot because of this tragedy. It is honest in a way that you let them speak from their own experiences. This amazing film is made possible through Story Corps along with The Corporation for Public Broadcasting, The Carnegie Corporation of New York and National Endowment of the Arts.